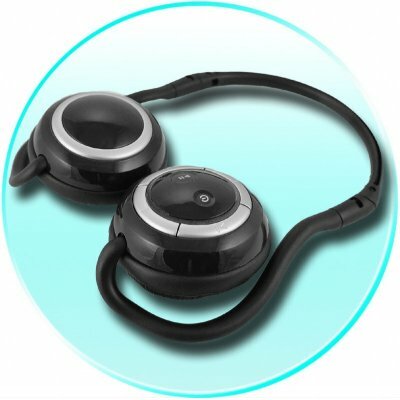 Successfully Added Bluetooth Headset - Music + Incoming Calls to your Shopping Cart. Smoothly designed Bluetooth Headset letting you listen to music transmitted from a Bluetooth enabled device with crystal clear quality, or accept and calls and speak when paired with a Bluetooth Mobile Phone. This Version 2.0 Bluetooth Gadget can pair with an enormous range of Bluetooth Cell Phone makes and models, and with one charge will let you speak and listen up to 12 hours. It has a standby time of up to an incredible 5 days. You can also use this as a wireless PC headset when paired with a PC USB dongle, to hold conversations on your computer on chat software such as Skype or MSN. This is a great accessory to have if you own any Bluetooth enabled device, and is very comfortable to wear and easy to use. Compatibility/Pairing: Virtually All Current Bluetooth Phones and PDAs. Bluetooth Enabled notebooks and PC with Bluetooth dongle.